INspired LIVING: Quoting others - Why do we do it ? 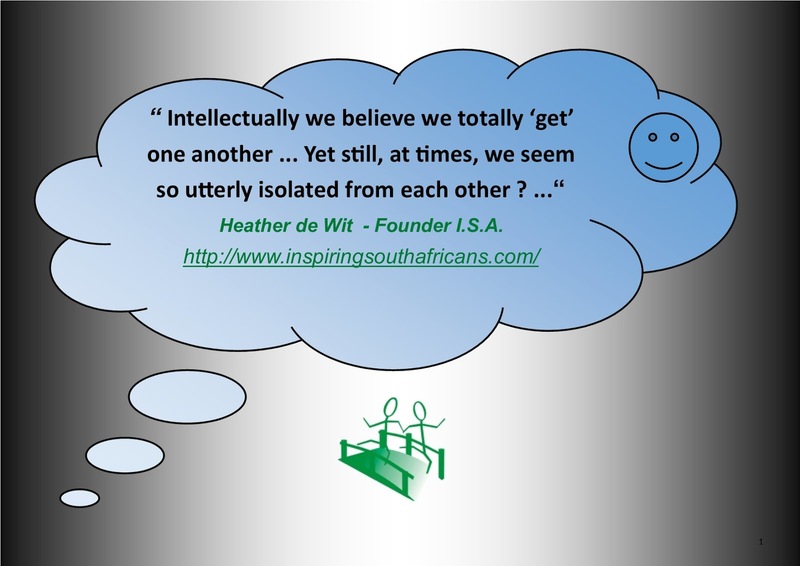 Quoting others - Why do we do it ? Since time immemorial, people, organizations, past and present, have been recognized and even defined by and associated with their famous quotes – Whether positive or negative, they become a part of that person or organization’s identity. The curious in me has always questioned why we do this ? Why should those words belong to them, define them or their organization ? Quotes can have either a positive or a negative connotation – they either uplift us, depress us, mobilize us into positive or negative action or inform us in the case of an organization tagline as to their mission, vision or intention. We all do this ! – Some folk on the Social Media, I believe, post far too many quotes per day and I tend to opt out of their notifications as they block my feeds. I work subliminally on the Social Media and so I have no idea what I am posting from one day to the next – I am guided, according to where I am at on the day and what I need to feel or do – The right post or posts always find me. My intention is always set to inspiring, mobilizing and uplifting others, seeking positive stories and possibility – No politics or negative content will you find in my posts. This also keeps me focused on the positive and possibility. I post either my own, which I enjoy doing, or other people’s. Quotes that find me I select because they move me emotionally from the head or from the heart – in a positive, kind and good way – and they become my message to me for the day, which I want to share with the world. To propel me into positive action on some level. I choose to stay away from negative stories, politics and content that I believe is unnecessary. When I post a quote, I am embracing what I read and it changes one on a cellular level, which is my intention and which should in turn have the same effect on my audience, assuming we’re on the same page of thinking ? Having said that, I continue to inspire others to write their own authentic quotes from the heart from time to time. What makes words effective ? There is only one book in my book ? – The Dictionary, in any language ! – It is how we string words together that makes them have an impact, or not – resonate, or not, move us, or not and so on.